I’m certainly not a spelunker. 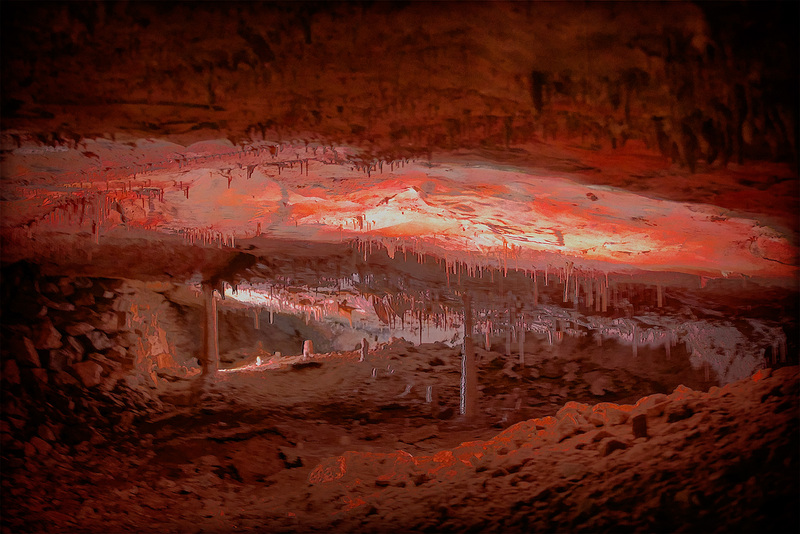 In fact, judging from past experiences in large caves, I probably have a mild case of claustrophobia. At the very least, such places often make me feel uncomfortable, wondering why I ever subjected myself to the experience. 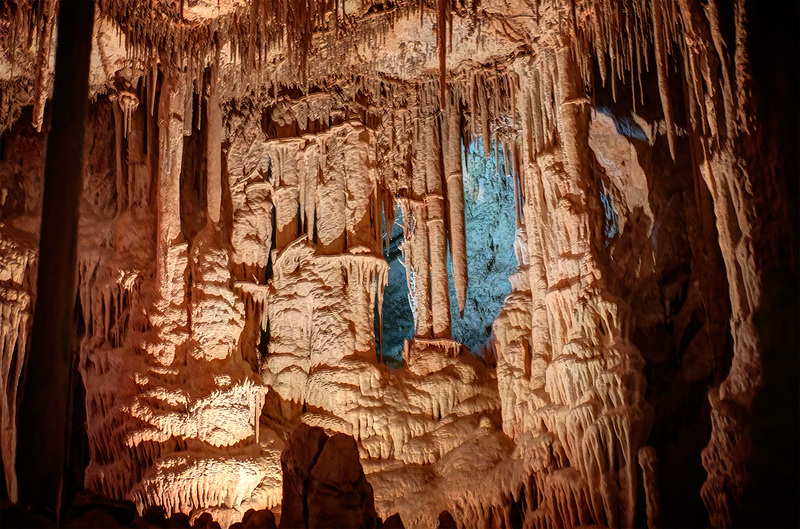 So, I was a little apprehensive when we first heard about Great Basin’s Lehman caves and even more undecided when we had to decide if we wanted the thirty minute tour or the ninety minute tour. 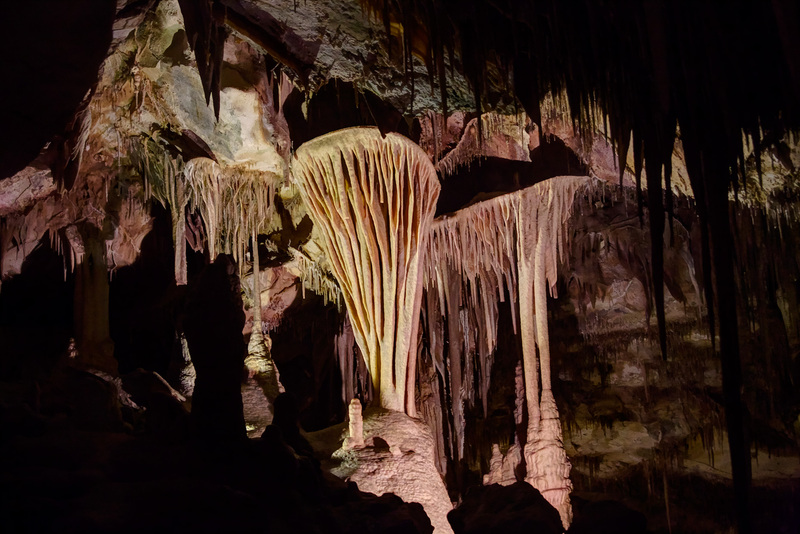 As it turned out the well-lit caves didn’t affect me the way most caves had in the past; I was glad we decided on the ninety minute tour. 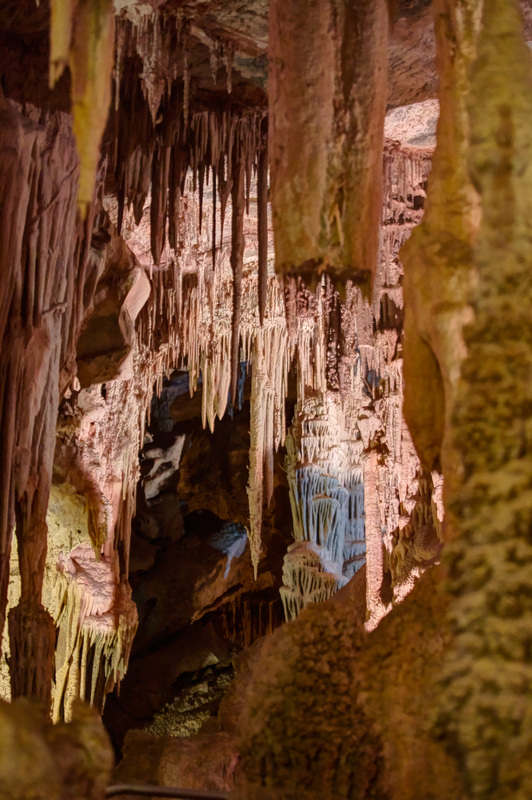 I also questioned whether it was worth taking a camera with me, but the caves were well-lit so I was able to get several shots that capture the feel of the caves; it probably helped that I had an expensive camera and shot HDR. The hardest part was trying to find something to actually focus on, particularly since they used spotlights to light up areas of the cave. It was hard not to capture fantastical shapes wherever you pointed your camera. 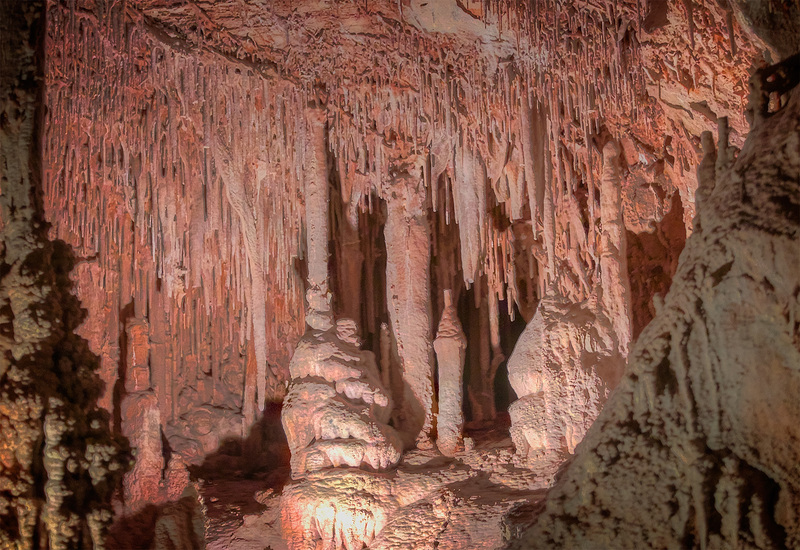 Somehow these stalagmites and stalactite reminded me of old, deteriorated Asian ruins. 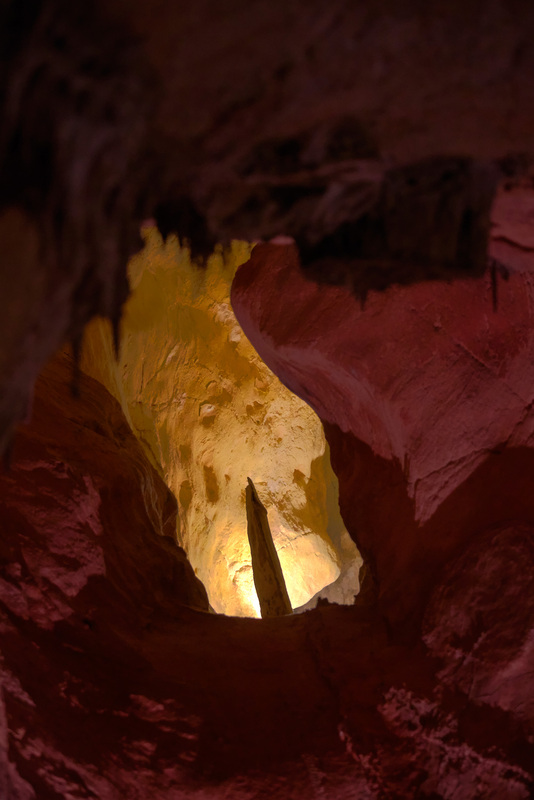 I liked the way different levels of the cave were illuminated. Often, lights at lower level seemed quite practical, helping to light the way through the caves. Overhead lights seemed less practical, but definitely added to the atmosphere of the caves. This shot was taken looking back at a large “room” that our group had just walked through. Try as I might, I couldn’t eliminate the washed out area without plunging the rest of the photo into total darkness. though I was perfectly content to stay on the beaten path. Our guide showed us places where the original spelunkers were forced to crawl far too far to reach the next section of the cave, often with nothing more than candles. Needless to say, I wouldn’t have been one of those crawling through the darkness with a candle. Only those who take the 90 minute tour get to see this huge formation a the end of the tour. I’m not sure I would call it beautiful, but it was certainly awe-some, like some alien life-form.